This was when the country promulgated the Swaziland Constitution. She discovered her passion on human rights, good governance and democracy; after being exposed to interrogating the Constitution on the level at which it guarantees and or adheres to human rights, democracy and good governance values in different programs she was working on at that time. Her work and passion on these subjects saw her acquiring a Chevening scholarship, and currently holds a Master of Arts in Human Rights Theory and Practice from the University of Essex in Colchester, United Kingdom. She has formed part of Southern African Development Community (SADC) Observer Missions in Zimbabwe (2008 and 2013) elections and observed Swaziland’s 2003 election under the auspices of CANGO. Miss Lungile Nonhlanhla Mnisi works as Communication and Advocacy Officer for COSPE on the Project “Fostering Communication and Cooperation amongst Non-State Actors” in partnership with CANGO and punto.sud since January 2014 to date. 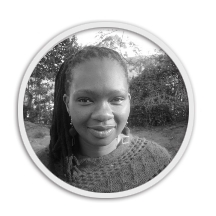 She held the position of Project Officer for Swaziland Coalition of Concerned Civic Organizations from May, 2012 to December 2013, focusing on organisation and coordination of national advocacy campaigns, but also on research and partnership with the “Coalition affiliating organisations” to implement campaigns on topical issues namely on the fight against human rights abuses and GBV campaigns. She also worked with the Centre for Human Rights and Development (CHRD) as Communications Officer.